Street Address No.146, Sanduo 1st Rd., Lingya Dist. With a stay at NOBLE HOTEL in Kaohsiung (Lingya District), you'll be within a 10-minute walk of Chungcheng Stadium and Weiwuying Metropolitan Park. Featured amenities include a 24-hour business center, complimentary newspapers in the lobby, and dry cleaning/laundry services. Free self parking is available onsite. With a stay at NanWanHuPan in Hengchun, you'll be close to Nan Wan Beach and Kenting National Park. 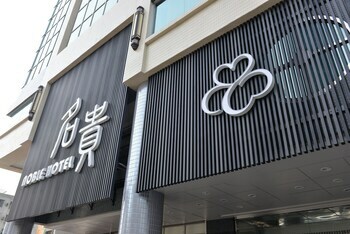 Located in Ji'an (Hualien City Centre), Fang Yi B and B is convenient to Cihuitang Temple and Hualian Jian Shrine. Free self parking is available onsite.